Watch Part 1 of the Video Series, or watch Part 2. The world of technology is changing rapidly and innovations abound. 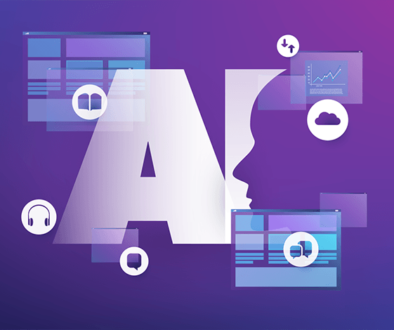 This is no less true in the pursuit of an improved CX, where advanced speech recognition capabilities have finally allowed contact centers to access the vast cognitive abilities that Artificial Intelligence (AI) self-service has to offer. With natural language understanding (NLU), AI-enabled voice bots can now hear, process, and correctly capture intent and context. This newly acquired accuracy means that call center virtual assistant solutions are now demonstrating their true power in a variety of interesting and beneficial ways. Here’s how two innovative companies are using AI-powered virtual agents to automate more in their contact centers. J&B was attracted to SmartAction’s unique cloud-based model that integrated seamlessly with existing systems, required no upfront or ongoing professional services charges, and allowed them to start small by automating one call type. Starting with outbound reminders, J&B is now automating nearly two dozen additional use cases, including HIPAA compliant patient authentication. Once the application went live, J&B received the full suite of services that come bundled with SmartAction’s simple per-minute-usage model, including ongoing customization, tuning, and enhancements to all applications for improved engagement and authentication rates over time. TechStyle Fashion Group is an innovative fashion e-commerce company that operates brands like JustFab, Fabletics, Fabkids, and ShoeDazzle. TechStyle built a strong partnership with SmartAction, whose cloud-based model seamlessly integrated with their existing systems to help them automate many of the conversations their agents had previously been handling, allowing them to start small, then expand. 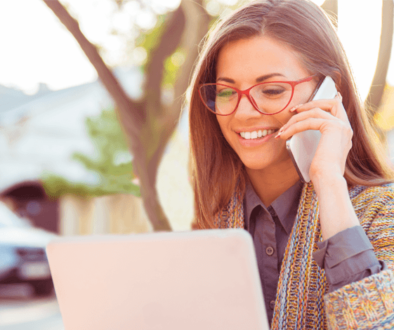 TechStyle first implemented a conversational AI front door to start every call with, “How can I help you today?” instead of the lengthy and archaic phone tree menu that frustrates customers. From there, if members want to check on the status of an order, manage their account, or ask a billing question—typically the most common inquiries—they remain in AI automation to complete their task. For more difficult requests, AI automation handles the up-front data gathering then passes off to a live agent to eliminate the repetitive drudgery and shorten agent handle times. Once TechStyle had implemented virtual agents in the voice channel, they scaled the same solution to web chat for a seamless omnichannel experience. 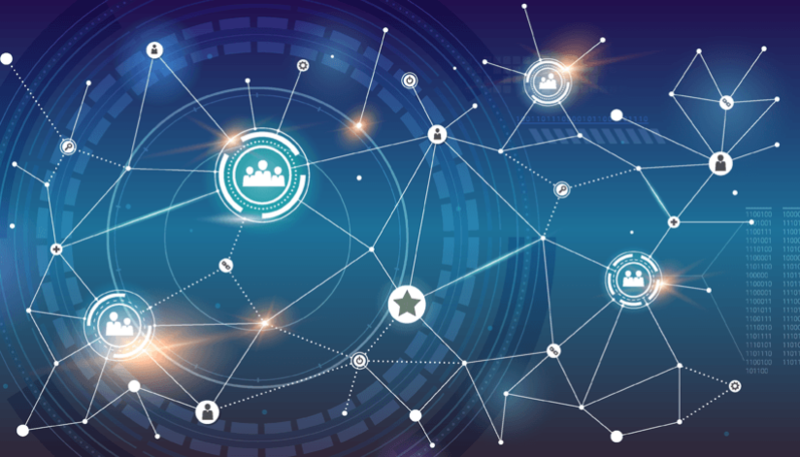 Clearly, AI has the potential to offer effective solutions to the contact center’s most vexing challenges, making it an essential part of the contact center toolkit. 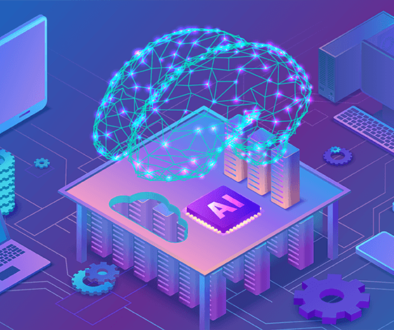 And while recent breakthroughs in AI research continue to lead the news, it’s important to focus on the practical solutions to business problems rather than the wonders of AI’s potential. 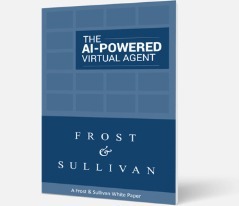 Using these solutions as leading examples of the impact of AI automation, Frost & Sullivan recommends seeking out practical AI solutions that are cloud-enabled and easily integrate with existing contact center systems to automate one conversation at a time, rather than undertaking a complete rip-and-replace overhaul. The world of technology is changing quickly and we’re surrounded by innovations daily. This is no less true as we chase an improved customer experience, where AI-powered virtual agents are automating the conversations that live agents used to handle before. Take J&B Medical Supply, for example, a regional healthcare leader that was struggling with agent costs, hiring processes, and complex patient authentication, but didn’t have the budget to pay for costly professional services to automate more and sustain growth. With SmartAction’s cloud-based virtual agents, J&B has been able to achieve growth by reducing reliance on hiring and retaining live agents, while focusing on their core business. The same happened for TechStyle Fashion Group because SmartAction is automating top drivers of inbound volume over phone and chat. TechStyle’s agents are able to zoom in on high value engagements that require judgment, upselling, or even fashion advice – things that automation can’t yet provide. TechStyle is now able to offer AI self-service in a truly omnichannel way. AI offers effective solutions to the contact center’s most vexing challenges. But when it comes to using AI to improve the customer experience & lower costs, it’s important to consider the stories of J&B Medical Supply and TechStyle, who have used AI-powered virtual agents to provide practical solutions to customer experience-related challenges.